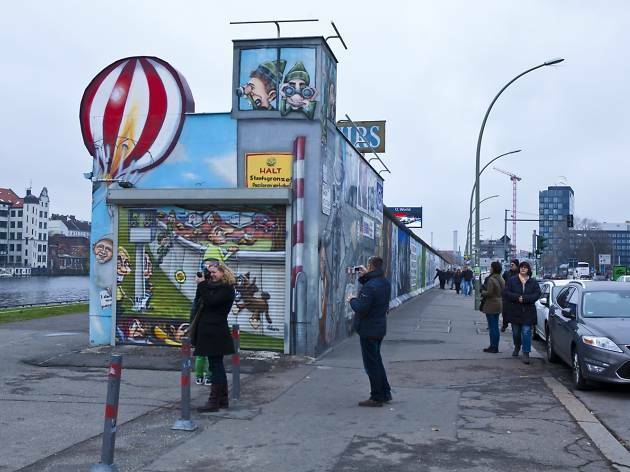 One of Berlin’s most photographed tourist sights, this is the largest remaining section of Wall still standing, where, in 1990, international artists came together to produce 101 paintings across its side. Dmitri Vrubel’s striking portrait depicting Brezhnev and Hönecker’s kiss – a Soviet sign of great respect – is easily its most iconic image. It was steadily defaced in the ensuing years, and controversy rages over its 2009 restoration, with certain artists objecting to copies being painted over their originals. That's not all. 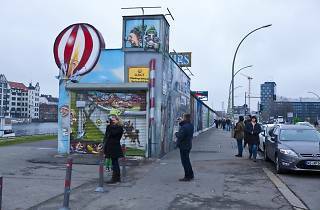 In 2012 and 2013, local protests raged - even that mighty symbol of reunification David Hasselhoff intervened - in a row over a proposed development of luxury apartments. Yet despite the noisy opposition, a six meter gap appeared in the wall to allow access to a construction site.